On Sunday, April 8, 2018, the New Dosey Town Board honored Ed Carlin and Al Holter. 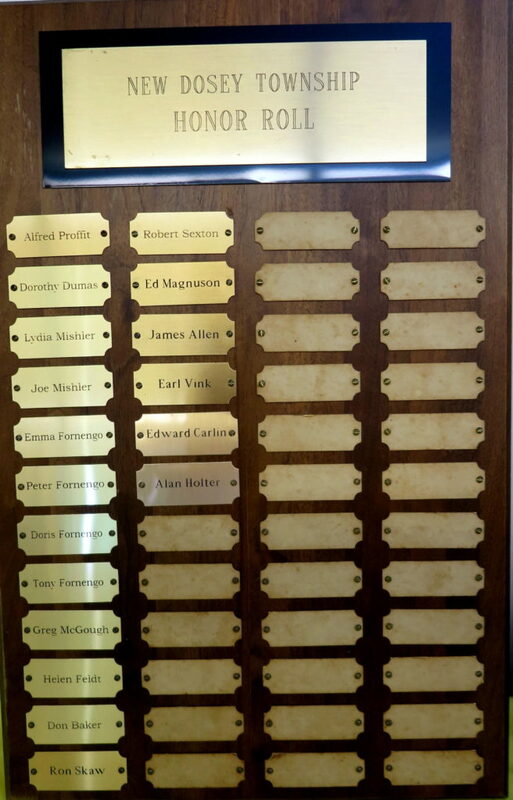 Their names have been added to our “Board of Honor” plaque. As you know, both Ed and Al passed away within the past year or so and we want to recognize the time, effort and expertise they both put into our township endeavors. This entry was posted on Sunday, April 15th, 2018 at 8:38 pm	and is filed under Board of Honor. You can follow any responses to this entry through the RSS 2.0 feed. Responses are currently closed, but you can trackback from your own site.